Colour: Silver. 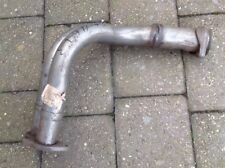 Type: Other Car Performance Exhaust Parts. 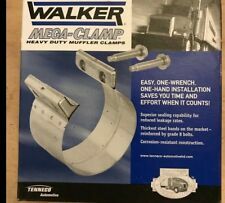 This size is designed to clamp 3" lap jointed straight pipes. FONOS 80008. OPEL 97069287. OPEL 94236345. > OPEL ASTRA F (56_, 57_) 1.4 Si 03/1992-09/1998. > OPEL ASTRA F (56_, 57_) 1.6 i 05/1993-07/1996. > OPEL ASTRA F (56_, 57_) 1.7 TDS 03/1992-09/1998. 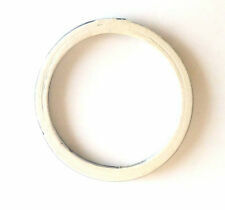 > OPEL ASTRA F hatchback body (53_, 54_, 58_, 59_) 1.4 09/1992-01/1998. FONOS 81011. ROVER GEX7659. MAZDA F60140561B. HONDA 18229SB2003. > ROVER 200 hatchback body (XW) 216 GSi 10/1989-10/1995. > ROVER 200 hatchback body (XW) 216 GTi 09/1990-10/1995. > ROVER 400 (RT) 416 Si 05/1995-03/2000. FONOS 80068. > SKODA FABIA (6Y2) 1.4 TDI 10/2005-03/2008. > SKODA FABIA (6Y2) 1.4 TDI 04/2003-03/2008. > SKODA FABIA 1.4 TDI 01/2007-03/2010. > SKODA FABIA 1.4 TDI 02/2007-03/2010. > SKODA FABIA Combi (6Y5) 1.4 TDI 10/2005-12/2007. FONOS 81191. > SKODA OCTAVIA (1U2) 1.8 09/1996-09/2004. > SKODA OCTAVIA (1U2) 2.0 04/1999-09/2004. > SKODA OCTAVIA Combi (1U5) 1.8 20V 07/1998-07/2000. > SKODA OCTAVIA Combi (1U5) 2.0 04/1999-09/2004. FONOS 80200. AUDI 043251509. AUDI 025251509A. VW 043251509. VW 025251509A. FORD 1013505. VW TRANSPORTER IV Platform / Chassis (70XD) 2.5 Syncro 10/1992-04/2003. AUDI AUDI COUPE (81, 85) 1.8 GT 09/1982-10/1988.